For billing-related questions, payment arrangements, balance inquiries and all other requests: (901) 544-6549 or contact us through our online form or MLGW's LIVE WebChat. If you have a question about your residential account or any service that we provide, one call to our Customer Care Center is all it takes. Many requests, such as bill inquiries and requests for extensions, can be handled virtually 24-hours a day, thanks to the Customer Care Center's call automation system. Service Advisers are also available to assist you during the hours listed above with billing, transferring or disconnecting services and much more. 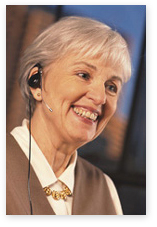 The heart of our customer service operations, the Customer Care Center, logs more than two million calls each year. MLGW offers numerous services for commercial and industrial customers, ranging from publications to online reference libraries, from outdoor lighting design to sales and coordination of energy efficiency improvements, and from involvement with industry organizations to designated representatives for select companies within key industries. MLGW's Revenue Protection department is charged with the duty of ensuring MLGW services are not being stolen or misused. We appreciate any tips that will help our Revenue Protection personnel stop these illegal activities, and will keep any tips that are received anonymous. Just provide us with the address that is involved with the stolen utilities, and we will investigate. Please e-mail us at revenueprotection@mlgw.org with any information that may assist us in stopping utility theft. The Owner's Reconnect Program is available to rental property owners who have a minimum of 20 units/properties. If you have a question about your residential rental property accounts or any service that we provide, one call, e-mail or fax to our Owner's Reconnect Area is all it takes. Builders may call or e-mail requests to turn on new meters, or for inquiries regarding work request status or construction accounts. Call our office or submit a request by email to obtain addresses for new construction, existing parcels of land and additional utility meters. This is a dedicated line for reporting emergencies such as gas leaks, downed electric wires, broken water mains inside a building, and unsafe street barricades. MLGW personnel are available 24-hours a day to respond to such emergencies. Please do not call this number for power outages unless there is a downed wire, a low wire or one that is sparking. If your power goes out, we need to know. First, check to see if your neighbors' homes are also affected, then call the outage hotline. It's open 24-hours daily. For faster service, please have your 16-digit MLGW account number on hand when you call. You can pay your MLGW bill by phone by calling 1-866-315-0277. Payment methods offered are bank checking or savings account, Visa, MasterCard credit or debit card, Discover card, and ATM debit card (displaying the Star, Pulse or NYCE logos). Payments submitted through this channel are noted on your account within one hour if made before 4:00 p.m. Central Time. Payments made after 4:00 p.m. Central Time will be noted on your account by 8:00 a.m. Central Time on the next business day. This is one of the quickest ways to make last-minute payments. If someone in your home is dependent on life-support equipment, please notify MLGW. MLGW works to provide prior notice of planned outages to these patients. Hearing-impaired persons who have access to Telecommunications Devices for the Deaf (TDD) may conduct routine business with us seven days a week by calling this number. In order to provide better service to customers who speak little or no English, Memphis Light, Gas and Water has contracted with a language interpretation service. This service can be accessed by calling the MLGW Customer Care Center at (901) 544-6549. The city's rental ordinance ensures minimum energy efficiency standards are met at rental properties as a way to help customers lower their utility bills. The goal of the ordinance is to ensure that rental units met minimum standards. The standards include no holes in the wall, serviceable roofing, good insulation, working thermometers and functional heating and cooling. For more information, or to set up an inspection of your rental unit, please call (901) 322-5757. If you have a question about account information such as your bill, establishing or disconnecting service, or other customer service related questions, please call (901) 544-6549 or E-mail MLGWCustomerCare@mlgw.org. For commercial or industrial customers, call (901) 528-4270 or send E-mail to crc@mlgw.org. For builders/contractors inquiring about construction accounts or requesting service status, call MLGW's Builder Services department at (901) 729-8630 or E-mail builder.services@mlgw.org. If you are sending a resume attachment for a job opening we have advertised, please send the attachment in Word, WordPerfect, or text format to MLGWHRS@mlgw.org. For all other E-mail inquiries - corpcomm@mlgw.org. Please note that under normal conditions, MLGW is generally able to respond to your E-mail in three business days or less.